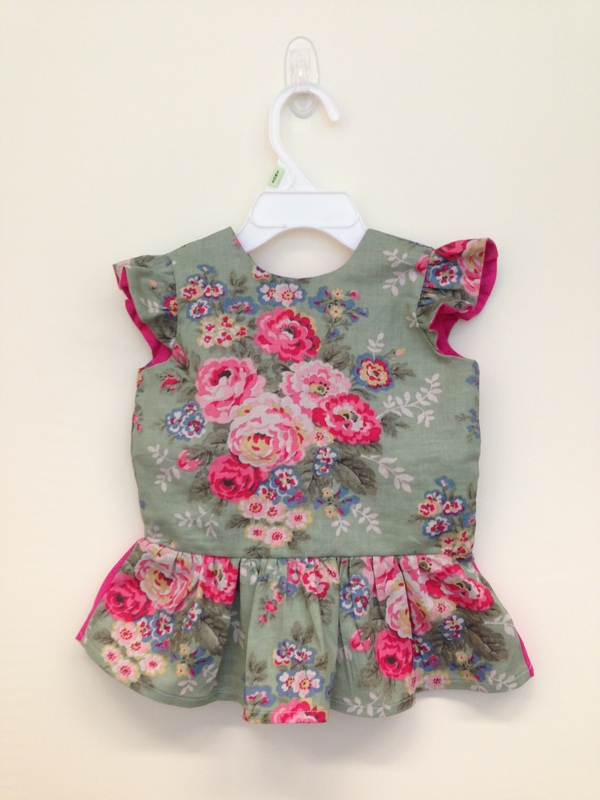 An from Straight-Grain (www.straight-grain.com) is a talented children clothes designer/blogger! I have been following her blog for quite a while and I love seeing her design and her beautiful model (her daughter). 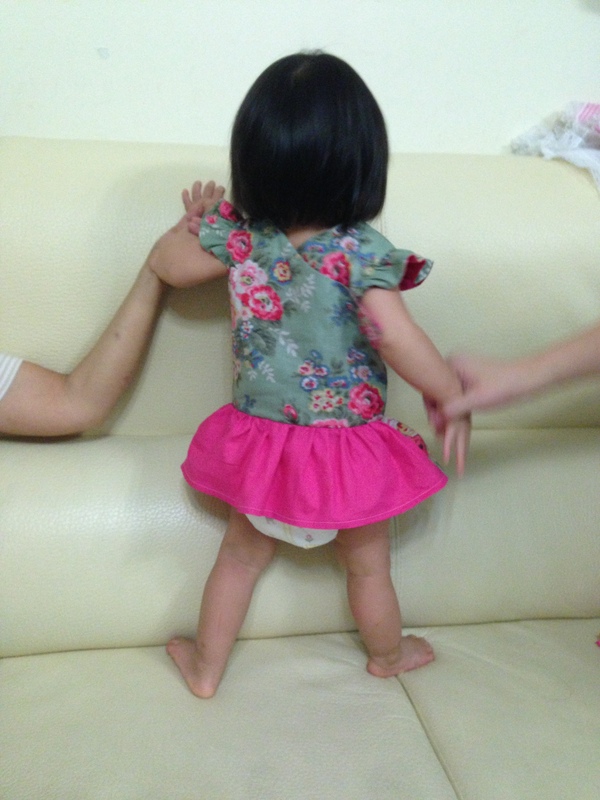 I have always dream of making one for my little niece Emma, but it always seems very hard in making clothes. Many thanks for An’s invitation, I have been lucky enough to be selected to try out to test her pattern design. So here is my first top! It’s incredicablly simple and easy to make. 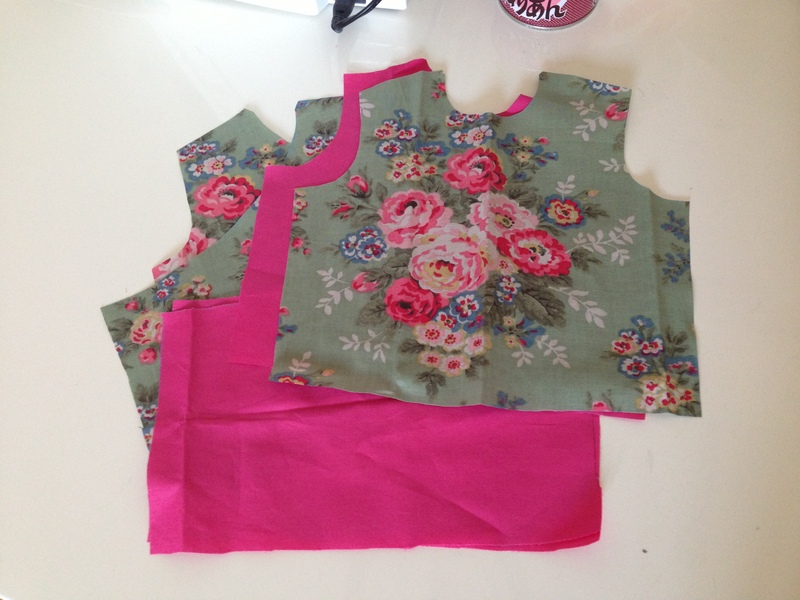 You just choose your size, design whether you want to make the top or dress, choose which collar and sleeves. And voila! Isn’t it beautiful and cute! Here are all the pieces for the cross back top with normal sleeves. Thanks for my little model Emma! She’s sooooo cute!!! And I love what you did with the flounce. So cute. She looks adorable! Thank you. I love that flounce too. Thanks. Yes. Cute little Emma. 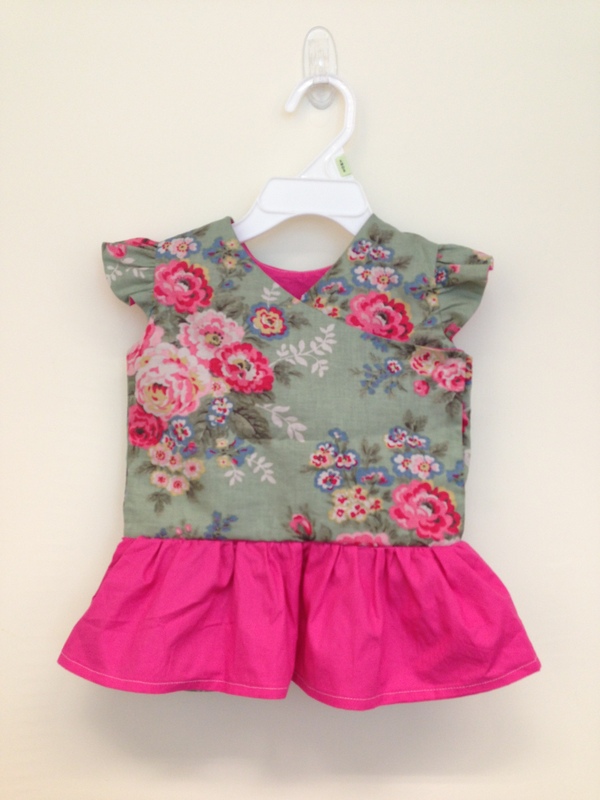 Thank you for making such a beautiful top with my pattern, Joyce! Emma must be the cutest model on the plant 😉 I love what you did with the flounce (so original!) and I’m so grateful for all your feedback and help! Many thanks An for giving me the chance to try my first sewing on clothes. It’s really easy than it looks. Love your work! Thanks Diorella. Yes. I love those fabrics too. I had not idea how small it was until I saw your delightful model. What a wonderful top!! Beautiful Hanami! Your model could not be cuter. Thanks Christine. 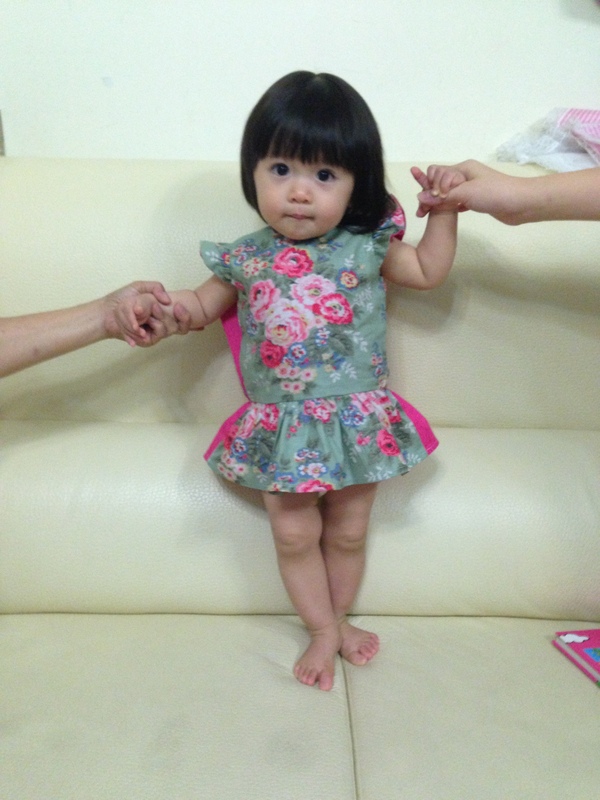 Cute baby Emma. What a great version of the dress. I love your choice of fabrics! Thanks Nicole. yes, I love this print too.